Twitter has brought its breaking news feature, Moments, to the UK, curating updates around the most important breaking news of the day. Twitter Moments is rolling out to users with the updated mobile app, and appears as a new tab alongside notifications and messages. Clicking on the tab brings up five news sections within the app, called ‘fun’, ‘today’, ‘news’, ‘entertainment’ and ‘sports’. Swiping to the ‘today’ tab shows a list of different news stories in the UK, like astronaut Tim Peake’s journey to the International Space Station. Clicking through into the story leads to showreel feature, comprising Sky News footage of Peake’s journey into space, tweets from Peake himself and tweets from the European Space Agency. Swiping to ‘entertainment’ shows news around the Star Wars: The Force Awakens premiere in Hollywood, with tweets from entertainment journalists and actress Carrie Fisher. 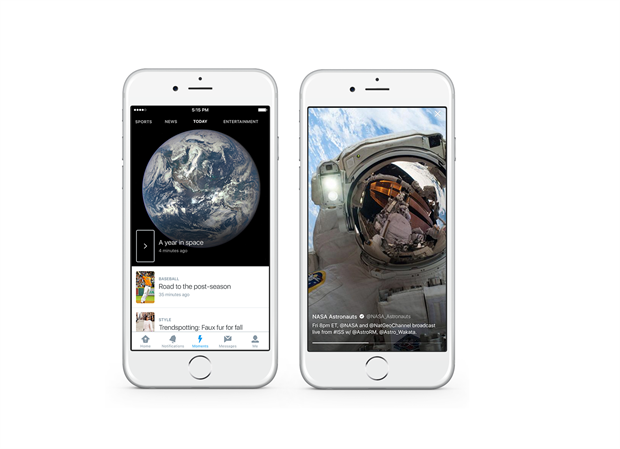 Users can share particular videos and tweets from the Moment, or share a Moment as a whole. The idea is to attract new sign ups to Twitter, and encourage its more casual users to engage. The platform has a core loyal base, but CEO Jack Dorsey said this year that he’s not happy with audience growth. The company reported 320m monthly active users in October, up from 284m the prior year. 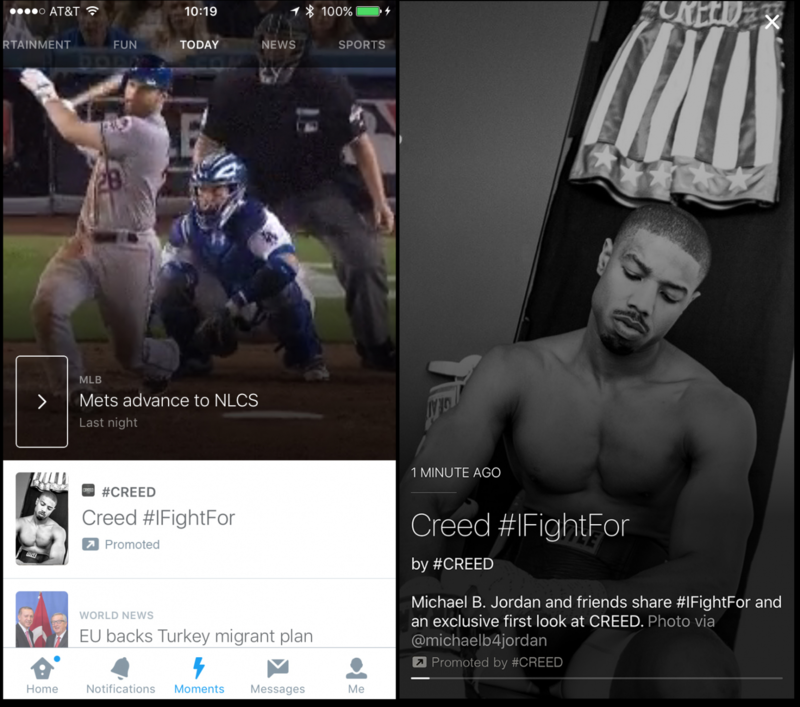 Twitter Moments in the UK are curated by the company’s small in-house editorial team, comprising former journalists. But Twitter is also allowing certain partner publishers to create their own Moments, which might appear on the main feed. Partners include The Sun, Vice, BuzzFeed UK, BT Sport, Sky Sports, the Premier League and Vevo, among others. As it stands, Twitter isn’t personalising Moments to individual users, meaning all UK users will see the same content. While brands have started advertising against the US version of Moments, Twitter’s newly appointed UK managing director, Dara Nasr, said the UK won’t start seeing ads until the end of January. The new format allows brands to create their own Moment, with Warner Bros creating mini-trailers to build anticipation for its film Creed. "A lot of clients have shown a lot of interest," Nasr said. "It’s native [content]. As with all our ad products, it’s not like a banner or pop-up. It’s very clear that it’s sponsored." Other US brands signing up include Starbucks and Macy’s. Moments could also be another way for Twitter to show ads to logged-out users. Logged out US users can see Moments on Twitter’s homepage, though the company couldn’t confirm whether the same function would come to the UK.